Taylor Swift's highly anticipated album Speak Now has finally been released after the countdown we've had with the gradual release of three songs: Speak Now, Back To December and Mean (Check out my preview of the album). Now we get the rest! Swift is pictured wearing a fluid red dress and looking very princess like (the dress is purple in the regular version). Like the content of her previous albums, it’s very much based on relationships and experiences Taylor has experienced herself, telling us her story through song- a fairytale perhaps. The album cover is sweet yet sophisticated, a step up from her previous covers. The start of “Mine” already sounds very similar to previous tracks from Taylor Swift, which continues throughout the song. Musically, it is like a cross between “Fearless” and “Forever and Always”. It is a good song, but not the best we’ve seen from her. Lyrically, it goes through a rollercoaster ride of emotions and has a positive end like “Love Story” does, which is good! An exciting intro precedes this song which has been performed live at concerts. Thankfully it has been recorded for this album as it is so fantastic, catchy and addictive! First FAV off the album. Apparently to do with her break up with Taylor Lautner, “Back to December” is an apologetic song with fantastic lyrics that is translated into an emotional yet catchy song that I just can’t get out of my head. I think this is one of my favourite songs off the album! The song has a beautiful and thoughtful story that flows very much like “Love Story” does as the song progresses. 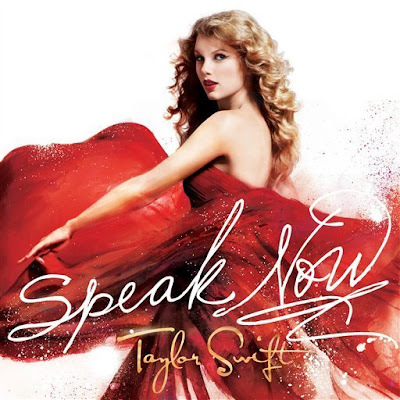 Whilst I am unsure as to how many weddings Taylor Swift herself ruined by “Speaking now” the song definitely have soundtrack qualities, and would be at the top of the list for any future rom coms. It is a fun and upbeat song that is addictive from the first play. I'm not too fond of the vibrato in the intro which doesn't quite go with the rest of the slow song. I would prefer if it wasn't there, but it does make it less moody and slightly more upbeat... Being the longest song on the album, the emotion does come through and the dramatics increase as it progresses which is nice. Whilst this song maintains an upbeat and catchy rhythm, the overall sound of the song is too country for me, despite great lyrics… Not a favourite, but good nonetheless. Wow, the most dancey intro I have heard from a Taylor Swift song with a strong beat which continues throughout the song. The verse sounds quite like Avril Lavigne so I'll give her extra points for that. Whilst I'm not sure this style is completely relatable to Taylor Swift as her voice suits her best doing ballads and soft pop hits, this is a strong upbeat song that is relevant to today's music style. Plus its irresistably catchy! "Never Grow Up" is a soft song that sounds like a lullaby... it doesn't get dynamic enough and compared to the other tracks will be forgettable and not one you can listen to for a long time. Whilst it may be good lyrically, this just isn't exciting enough. The verse sounds like the quirky songs throughout "Juno" which leads onto a powerful and explosive chorus. It had instant appeal - Another FAV! The vocal intro will be annoying when this song is played in repeat, but loving the rock sound of this track which is very "Paramore"- ABSOLUTELY LOVE this song. I can't believe Taylor Swift is doing this in a good way. I wish she goes this rocky in all her future songs. This is phenomenal. LOVE LOVE LOVE. Performed at the VMAs this year, Taylor Swift unleashes her side of the Kanye West incident through this song. I love the vulnerability of Taylor in this song and the softness. The simple set up of this makes it that much better. Like Never Grow Up, this song is a bit flat due to its softness and I was listening to this in the background and completely phased out and forgot about it... doesn't stand out and is forgettable. For a song such as this, it needs much more power and originality. I'm glad Taylor ended the album with this, because it is a mix between the rocky stuff whilst maintains the Taylor sound we are used to. The normal version will have the fourteen tracks as above, and this is a strong end to the album- an exciting, catchy and upbeat track. Another soft song which compared to the rocky ones fail to shine. It has good elements and many will like this, but after fourteen strong tracks, this rightfully doesn't make the cut for the regular version of the album. I actually really like this song because of what it is about. I think this should be on the main album. It is catchy, fun and quirky, and lyrically fantastic. "If this was a move, you would be here by now". Another fun song about Superman especially the chorus "I watched Superman fly away". I love the lyrics and again, this should be on the main album! It is upbeat and catchy though not rocky- still good though. I actually quite like this song being acoustic. Of course I love the edgier side of this, but hearing this also without everything else makes this somewhat more haunting. The following "US Versions" sound exactly the same as the original to me..
What shocked me about this album the most was the existence of rocky tracks, some resemble Avril Lavigne or Paramore. I did not expect this at all, and actually makes this album amazing because I love pop rock. That said, these tracks that I love (Better than Revenge, Haunted) really overshadow the softer tracks that I'd originally expect on this album. These latter tracks are by no means "bad", but being on this album with so many other songs, they are less memorable and quite easy to forget. I would highly recommend this album as it definitely shows a new side to Taylor Swift, and even if you just get these "rockier" tracks it would be worth it. Personally, get the regular version and purchase the tracks you like from the extended version. I liked this review overall, but the 'Mine' video was not filmed in Taylor's hometown. She grew up in Wyomissing, Pennsylvania and the video was filmed in Kennebunkport, Maine. Last kiss is one of the best songs on this whole album and if you slowed down and tried to get passed how "rock" this album is, you might be lucky enough to see that. Never grow up is a song that hits hard to people who have recently moved out or have lost a parent. Just because these songs aren't as rock or upbeat as the others does by no means make them "forgettable" nor should they be skipped on the album. I agree with most of your comments about the songs in Taylor's Speak Now album but I have to disagree about Last Kiss and Never Grow Up. I used to rate Last Kiss 3/5 too but after I heard it performed by Taylor on her Speak Now World Tour (she performed it with so much feeling and sadness I thought she was gonna cry), I can't help but love the song. Her lyrics reached me and probably those who have been and is going through break ups. So I won't say it should be skipped. Never Grow Up on the other hand is a big confessional song from Taylor. I mean I've never heard of a celebrity who admitted that they don't wanna grow up. I think she said she wrote this song the night after she moved out of her house to her new apartment. It made her finally realize that she's growing up, she's gonna get old and though it can't be help she had to write a song about it. This is why I like her Speak Now album among her other albums. Since she wrote the songs all by herself, there are so much truth in them. She said that if she had been with a co-writer, she probably wouldn't have been able to write about those confessional lyrics. Anyway, to each his own opinion. If you don't like those 2 mentioned songs as much as I do, I can't force you to like them. But please don't tell people to skip them cause it's like telling them to not listen to Taylor. Each song tells a part of Taylor Swift and her listener deserve to hear her. Banksy's Controversial Opening to "The Simpsons"